Two things come to mind as I start to think about In a Summer Season by Elizabeth Taylor, my Middlebrow-a-Month for September, though I'm fast thinking I want this slot in my reading to be able to embrace way beyond those perceived limitations of the word 'middlebrow'. I do see that the word has its limitations, so I'm going to see where each book leads and just follow where it suggests with my next choice...except the book is still most likely to be found in what I have always called Middlebrow Corner, just over my left shoulder here. It's a bit of a higgledy-piggledy hotch potch but I know what's there...Viragos, Women's Press, LitCrit on fiction by women, the Nun's section is over here too and behind the glass doors my accumulation of old books, bottles of ink, plenty of Richmal Crompton, Barbara Pym, Frances Hodgson Burnett, Dorothy Whipple, Elizabeth von Arnim et al. plus some conkers from Oscar Wilde's grave in Pere Lachaise cemetery in Paris....and I don't know why those are there. But none of that is in the least connected to the 'two things that come to mind'. The first is how difficult it can be to read a book when packed in like a sardine on a crowded train and thus how good the book needs to be for me to manage to read any of it, and secondly, or is it thirdly, how I really should have written my thoughts down the moment I arrived back from Cambridge. I finished the book on the journey home between Taunton and Tiverton Parkway, nearly forgot to get off the train at Exeter because I was so stunned by the ending, and that was all three weeks ago now. But In a Summer Season has lingered and I have had plenty of time to think about the book that many cite as their favourite Elizabeth Taylor novel. Robert Liddell's book, Elizabeth and Ivy, his memoir of the friendship and correspondence between himself, Ivy Compton-Burnett and Elizabeth Taylor offers plenty of insights and it's a book I return to frequently for another point of view on Elizabeth Taylor. Robert Liddell calls this a novel full of 'minor felicities' suggesting that 'the background tells more than the people or the happenings'. 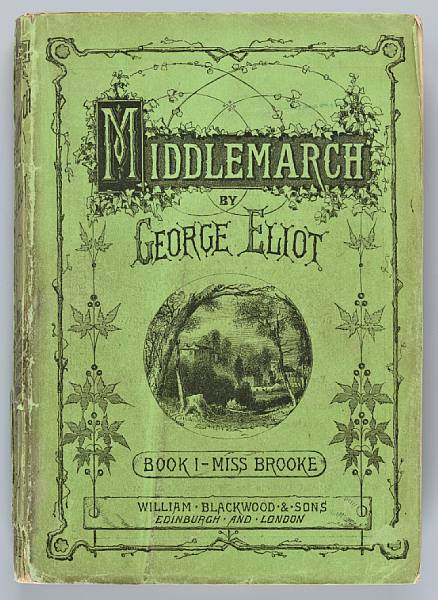 The widowed Kate Heron, wealthy and attractive with one teenage and one almost-adult child has met has married the hapless Dermot and gained in the process, Edwina, the mother-in-law she may have preferred to manage without. They live in prime Elizabeth Taylor commuter-belt country and both Kate and Dermot feel duty-bound to slot into the roles dictated by society, he that of the commuting wage- earner, she that of the stay-at-home housewife who dutifully cooks the evening meal and adores her new husband. And despite the disparaging opinions of Aunt Ethel, the resident cello-playing spinster aunt, adore him Kate does, all a bit awkward and improper for a 40-something widow in the early 1960s; this often regarded as Elizabeth Taylor's most sensuous novel set against that rare but appropriate phenomenon, the scorching hot English summer. But there are plenty of other satellite relationships to observe in this book and how well Elizabeth Taylor pins them down and so often with that wry, understated humour. Little mention of any grief for the loss of her father, but Kate's daughter Lou and her teenage crush on the parish curate seems to speak silent volumes about much more than just adolescence, as Lou willingly sacrifices her afternoon to help sort the old shoes for the parish jumble sale just in case Father Blizzard should stop by. Son Tom, not much younger than Dermot, in the employ of his grandfather and embarking on his fledgling relationships with women. The return of Charles and Araminta, the husband and daughter of Kate's best friend who had died the year before. It's well known that Elizabeth Taylor used to walk along to her village pub for an early-evening drink alone and it's not difficult to imagine how much people-watching she must have indulged in. So many avenues are created, so many vantage points from which to observe Kate and Dermot whilst exploring those frailties of human nature of which Elizabeth Taylor seemed only too aware. Published in 1961, In a Summer Season must surely have been a step or two ahead of the moment. Of course step-families were nothing new, but I saw this book as perhaps one of those early attempts at a fictional representation of the tricky subject of what is now known as 'the blended family', and with it a woman's attempt to do that blending and much against the social mores of the time; to remain a mother to her two teenage children whilst being the the new and desirable wife to the much younger husband, just a few years older than her own son. Of course we do now have a definitive book on Elizabeth Taylor. Nicola Beauman offers some fascinating insights and parallels from Elizabeth's life, which are then woven into the content of In a Summer Season, in her recent biography The Other Elizabeth Taylor . I'm not going to spill those beans but I knew Nicola's book was going to become a sort of vade mecum as I read more of Elizabeth Taylor's fiction and I wasn't mistaken. I did not see that ending coming, but perhaps knowing what was happening in Elizabeth Taylor's life as she was writing this book, I should have done, and not a word more. It's all there waiting for you to discover for yourselves if you haven't done so already and I don't think you'll be disappointed. So decisions, decisions, where does this book lead me for October's read? Barbara Pym's Excellent Women wins so we'll reconvene on Halloween and if you want to read along through October too you would be very welcome to join me.